Get an inside look at the systems used by EXOS (formerly Athletes’ Performance) to train the world's top athletes, including professional sport hopefuls and veterans. EXOS Presents – The 0.10 Second Difference, featuring Nick Winkelman, will focus on the science and application of elite linear speed development and EXOS' time-tested drills and methodology to help athletes run faster. Follow Nick through 2.5 hours of theory including programming and coaching models for linear speed development, as well as, technical models for both acceleration and absolute speed. This presentation, combined with 90 minutes of on-field practical exercises for optimizing the start, acceleration, and absolute speed, will help you take your coaching to the next level. Whether you're a coach working with pro-football-bound athletes or you're working to help athletes in any sport get faster, this education module will provide you with the tools you need to help athletes improve their linear speed. 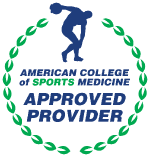 This professionally produced experience is optimized for sport coaches, performance coaches, sports therapists, and any athlete looking to upgrade their game. Present and define the EXOS Linear Speed Development System within the context of athletes preparing for the Pro-Football Combine. Present and define a 3-Phase Programming Model used to optimize 3-point starts, acceleration, and absolute speed within the context of athletes preparing for the 40-yard dash. Present and define a technical (error identification) model for acceleration and absolute speed. Present and define a coaching (error correction) model for acceleration and absolute speed. Demonstrate and coach 50+ movements used to optimize starts, acceleration, and absolute speed (Each movement includes descriptions, critical cues, error correction insights, and live coaching/demonstration).